San Mateo County courts cut 28 employees from their payroll after they discovered that their budget was millions of dollars in the red. The day before First Niagara and New Haven Open at Yaleannounced that the bank will take over the sponsorship of the women’s tennis tournament, the state received a report about layoffs the company plans in New Haven and Manchester. First Niagara is buying New Haven-based NewAlliance Bancshare and New Alliance officials said in December that they would eliminate 230 back-office and support jobs in New Haven and Manchester. They also said they expect to create 180 new jobs in New England, with a total loss of 50 jobs. The bank will lay off 93 people in Manchester and 126 in New Haven, according to the state Department of Labor WARN report. New Haven officials said in December they believed that merger would have a negative impact on the area. 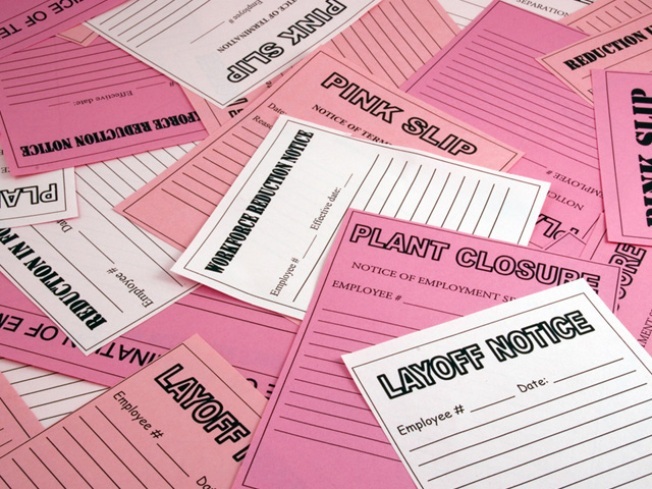 The layoffs will happen between April 15 and Jan. 2012.